Leah Koenig’s childhood meals took inspiration from her Midwest hometown and the traditional Jewish food of her mother’s heritage. 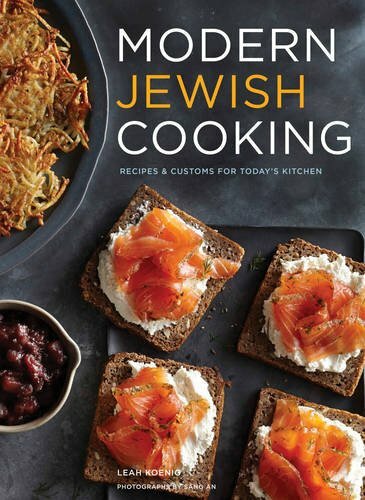 Modern Jewish Cooking straddles the divide between past and present, giving time-honored recipes a new perspective while retaining the memories their flavors convey. The recipes remain the same in essence as Koenig experiments with subtle changes to make them her own. It isn’t changing them completely, but more so updating them with the flavors Koenig has come to prefer. She recalls the varying textures of the matzo balls of her youth, but proves she doesn’t fear change in adding a healthy amount of heat by way of sautéed jalapeños and shallots. She uses the often bland matzo crackers as the base for her Matzo Granola with Walnuts and Coconut. The addition of honey, maple syrup, and cinnamon bring flavor to this slightly sweet but still wholesome morning meal. Koenig suggests it as an option during Passover, when other carb-heavy breakfast sweets become off-limits, but over a bowl of yogurt or splashed with a cup of milk, the granola makes for a delicious, casual, and light start to any day. Koenig relies upon literary inspiration as the guide for her Spinach Shakshuka, having fallen for an in-depth description of its creation and taste. She creates a base of baby spinach wilted with the flavors of a small jalapeño, garlic, coriander, and cinnamon. Atop this sit four beautifully-poached eggs, their whites just barely set and the yolks threatening to pour out in gorgeous, sunny yellow streaks. This North African dish proves the perfect comfort for weeknights when cooking time is limited, but when you can spend a few extra moments sopping up the final bits with a hearty tear of bread. Reinvention is a form of honoring the joys of the past. Koenig knows that nothing is entirely separate from what came before it and strives to promote the traditions set by family members before her. She doesn’t want to lose Jewish culinary precedent in a world that is constantly changing and moving towards something that has never been seen, tried, or tasted in the past. However, she still pushes to “infuse history with a sense of innovation.” This results in a strong focus on making these dishes accessible to newer generations of cooks, those not yet entirely comfortable with navigating a Jewish chef’s kitchen filled with a foreign array of spices, or ingredients not yet familiar to their still-developing palate. The book concludes with Koenig profiling Jewish holidays, from Shabbat to Sukkot, accompanied by menus and meal suggestions optimal for each celebration. She invites every reader, whether of Jewish descent or not, to join the table and celebrate this food. Mimi Thorisson is the voice behind the famed food blog Manger. Her cookbook, A Kitchen in France, shares the blog’s focus; each are written as a reflection of her life documented by the recipes she loves. Her approach to food works against the stereotype of French cooking as pretentious or a compendium of flavors too varied and intricate to distinguish from one another. A Kitchen in France goes beyond the fundamentals of food alone. Thorisson delves into the connections that food fosters and presents her readers with the French joie de vivre seemingly inaccessible to those who live outside its pastoral landscape. The images capture the tranquility of her town - Médoc’s rolling hills and lush fields, which charm you with the fresh offerings reflective of the current season. Thorisson explains the abundance of asparagus in April and the locals’ haste to gather as much as possible before the season ends. She meditates upon the gift of quality ingredients, expressing the pleasure of a single asparagus stalk’s delicate tang in her Roasted Asparagus with Chervil, bringing out its flavor with a drizzle of olive oil and a sprinkling of sea salt. This method of cooking allows the asparagus to taste more like itself, more like how we expect it to when bringing it in from the garden. 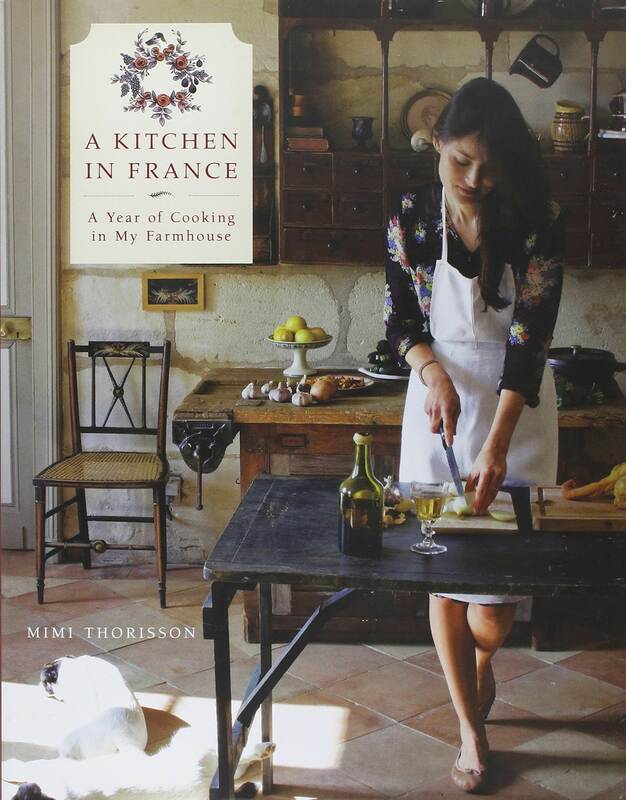 We come closer to understanding France, its approach to cooking and lifestyle, with each of her recipes. Thorisson features photos of the country’s food artisans and foragers, highlighting the attention of all produce, even the care given to a single plum tomato, freshly-picked from the vine for the day’s market. This gives us a view of the landscape which lends a narrative to each recipe - the story of food we must acknowledge and share. Pumpkins are one of my favorite foods. I love them because they are both beautiful and healthy. 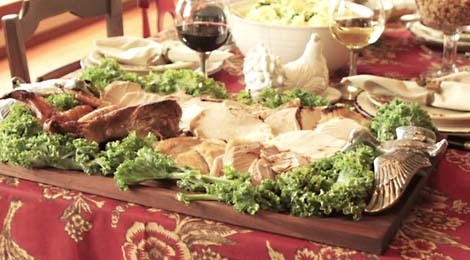 Serving double duty, they adorn my table as décor and then end up in soup, pie, and more! I will demo the Pumpkin Cheesecake and the Pumpkin Soup and pie dough. Then we’ll do some hands on making the pie and the muffins. We will end enjoying a cup of soup and a taste of the sweets. You will leave with the recipes and a small pumpkin pie. We’ll spend the first hour work-shopping each of your menus! I will share mine and how I developed it. It will be part demo/part hands on. We will end with a glass of wine and a taste of the sides. You will leave with your menu planned and the class recipes including a few extras. 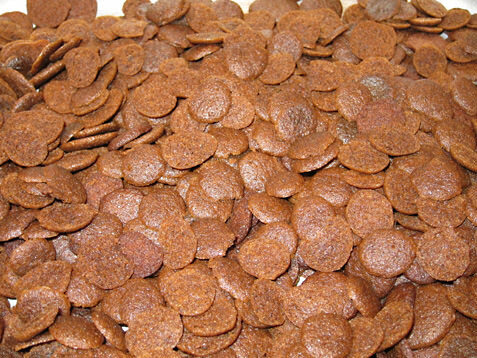 We’ll dive right into making ginger pennies, caramels, and lollipops. I will do a brief demo and we’ll make them sequentially. You will leave with a box of caramels, a few packaged lollipops, a lollipop mold and sticks to make at home, and a jar of ginger pennies. Details: Each class is $75. Sign up for all three for $200. The ingenuity and expertise of Joanne Chang, owner and pastry chef at Flour Bakery + Café, gets put on display in her third cookbook, Baking with Less Sugar. In America, we’ve come to depend upon sugar to bring flavor to our sweetened creations, but this reliance has only resulted in deadened taste buds and the masking of other ingredients. Chang sees this need to alter our cravings and has created a collection of recipes which challenge our palates to search for flavor elsewhere. 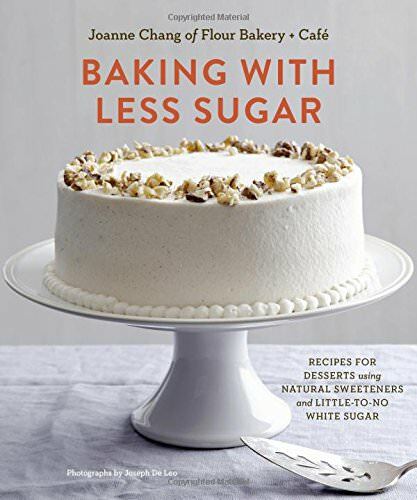 Chang starts her book by addressing the obvious disputes to this baking philosophy, saying that 1) “Life is sweet” and 2) “I sell sugar”. It’s true that owning a bakery, distributing innumerable confections daily, leaves Chang somewhat guilty for contributing to our sugar craze. However, she confronts this issue by explaining her own epiphany that baked goods can be sweet, and made more interesting, by substituting other ingredients for sugar - whether it be honey, maple syrup, or fruit purées. She believes that we negate the potential flavor of a cookie if we focus solely on making it sweet - it can be nutty, smoky, salty, anything on the spectrum of flavor. This introduction to her succeeding recipes has the reader excited for all of the new discoveries to be made outside of sugar’s constraints. It’s hard to imagine a fruit pie without loads of sugar to make its filling sickeningly-sweet. Chang, however, is a strong believer in allowing the natural flavors of ingredients take center stage. She uses the built-in sweetness of the fruit in her Blueberry Nectarine Pie to make only 4 tablespoons of sugar all that is necessary for the jammy and luscious pastry. She pairs this with her Double-Crust Pie Dough, allowing the juicy berries to mix beautifully with its flaky texture. Chocolate is certainly not without its own dose of sweetness, but by depending only on the sugar content of bittersweet chocolate in her Double Chocolate Whoopie Pies, she is able to significantly reduce the added amount from its traditional equivalent. Crème fraîche contributes a certain tangy bite, drawing the pies away from potential chocolate overload. I love Chang’s use of maple syrup as a sugar substitute in her Sticky Toffee Pudding, a vegan alternative to honey. She outlines the traditional version she makes with “loads of brown sugar”, a comforting option during the colder months. However, she says that in this adaptation, the maple syrup complements the dates’ deep flavor instead of obscuring them in mountains of sugar as too many recipes often do. The dessert is a great example of how using natural sweeteners results in a greater complexity of flavor. Baking with Less Sugar is not another cookbook focused only on making desserts with fewer calories. Joanne Chang seeks out alternatives for sugar so that she can experiment with other ingredients and develop recipes that taste how we expect them to, while still retaining an element of mystery in their subtle nuances of flavor. The result is healthy, delicious, and nonetheless sweet. 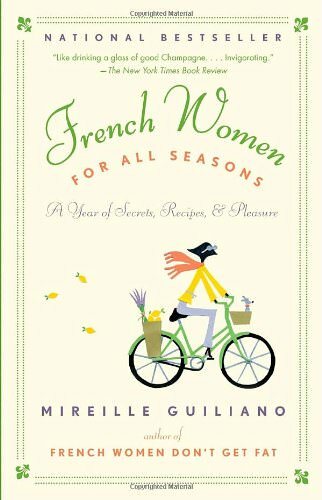 Warning: for those of you looking for a quick-fix for your weight-management woes, French Women for All Seasons by Mireille Guiliano is not the book for you. Its pages replace this short-lived attempt at weight loss with a lifestyle that is sustainable, allowing readers to practice the French mentality of treating themselves to small indulgences in moderation. She founds her ideology on a style of living based on incorporating healthy, feasible habits into everyday practice. Nothing about her plan is extreme, instead, she emphasizes the small, everyday treats we allow ourselves to enjoy, attributing success to the inclusion of small amounts of bread, Champagne, and chocolate in our daily diets. She provides helpful weekly menus for each season so that your meals stay consistent with the produce that is at its freshest and most delicious. Don’t feel constrained by these guidelines though, because they are just that, general directions for how to create a healthy relationship with food. Guiliano suggests that you learn what you like and build from there, because the real key to eating like a French woman is acknowledging that maintaining a healthy weight comes from the continual development of our joie de vivre, and appreciating the balance between restraint and pleasure that brings more joy to every moment and to every taste. For those of us who have tested and tried all forms of yo-yo diets only to lose six pounds one week and gain it all back in the days immediately following, allow Guiliano to start by making food suggestions for you. What diet book would provide a recipe for Flourless Chocolate Cake, whose list of ingredients begins with equal amounts dark chocolate and unsalted butter (not to mention a cup of sugar to follow)? This is an example of Guiliano’s philosophy, where allowing ourselves to luxuriate in a small portion of a decadent dessert prevents us from giving into the temptation of a box of cookies later on. The recipes are simple and straightforward, giving you plenty of options for weeknight cooking as well alternatives for more formal occasions. She provides a manageable Buttersquash Soup, with no more than six ingredients, but which she suggests dressing up with fresh parsley, grated nutmeg, and a dollop of crème fraîche if you’re expecting company. French Women for All Seasons reads sometimes like an anthropological study of the differences between the French and American approaches to food, where the latter inhales entire meals in 10 minutes while the former has established the meal as a time for simultaneous reflection and celebration. Guiliano suggests that the difference arises not just in a focus on how our alimentation affects our culture, but the opposite. She extends her theories beyond food, noting that it takes recognizing pleasure in every aspect of our lives, in romance, our family, friends, and even the mysterious bloom of cherry blossoms in spring, to feel completely engaged each moment and entirely satisfied with every meal.